After Anne's visit a few weeks ago, and my reflection that I wasn't using as many digital tools as I used to, I really wanted to start introducing more digital tools to my students. After all I am an MDTA in a 1:1 environment, I should be using digital tools.. 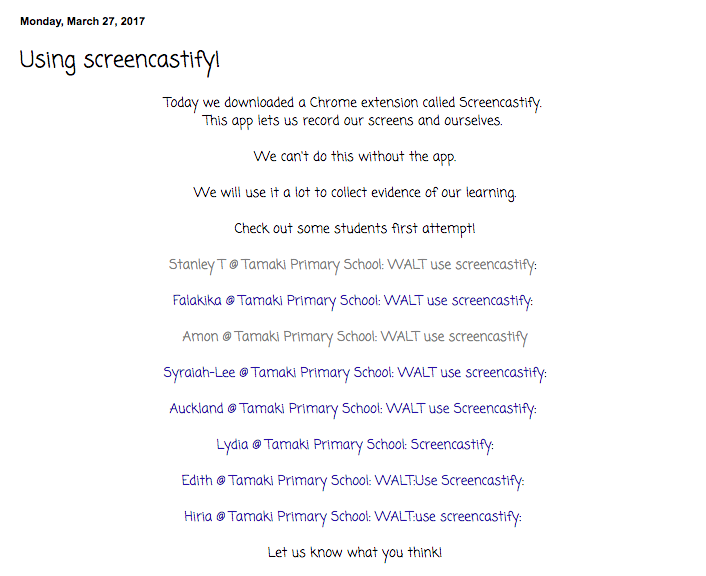 I really wanted to expand the DLO options for my students, and as I knew that other Manaiakalani schools use Screencastify, I wanted to use it as well. I asked our Manaiakalani facilitator to unblock this Chrome extension and it took a few weeks to get it all sorted, but its here! I introduced it first to my own class. Click here to read my blog post about it on my class blog. It was fairly easy to introduce, the students understood it very quickly and were able to use it confidently pretty much straight away. Awesome! They were so excited to have something they had never had before - using Google Docs/Drawings etc can get a bit tedious if that is all you are doing..
Today I went to my neighbouring class (Room 8 ) and showed them how to download it, set it up and use it as well. It went great! Read their class blog post here. I repeated the lesson again a third time for room 6, my other neighbouring class who are year 4 students. They got it straight away as well. It is such an easy to use tool! 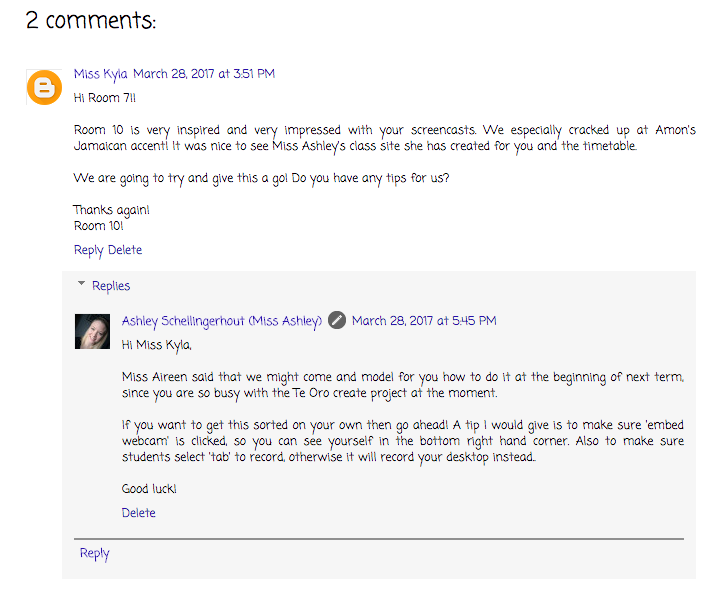 Miss Kyla teaches year 7&8s at my school and I was so flattered that she was even looking at my class blog, let alone using it for her own teaching. 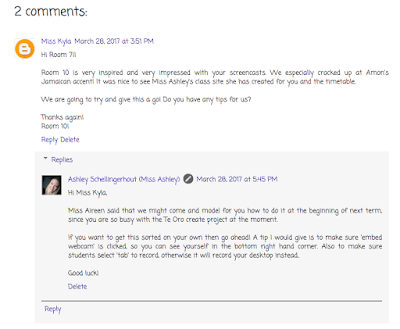 She told me later on that she had showed her class my blog post, they had watched the students screencastifys and then they had copied what my students had done. 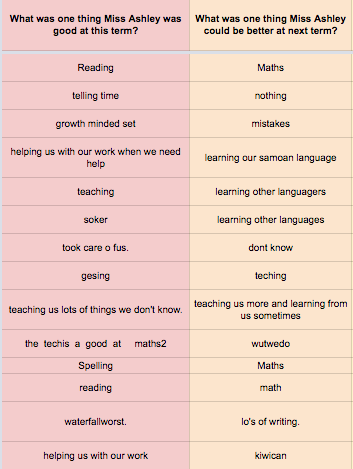 Originally I wanted to use screencastify so the students had more options to use when they created DLOs and so I had another way to collect evidence of their learning. However it turned into a big thing that now everyone is using (and all the kids are so excited to use it!!). 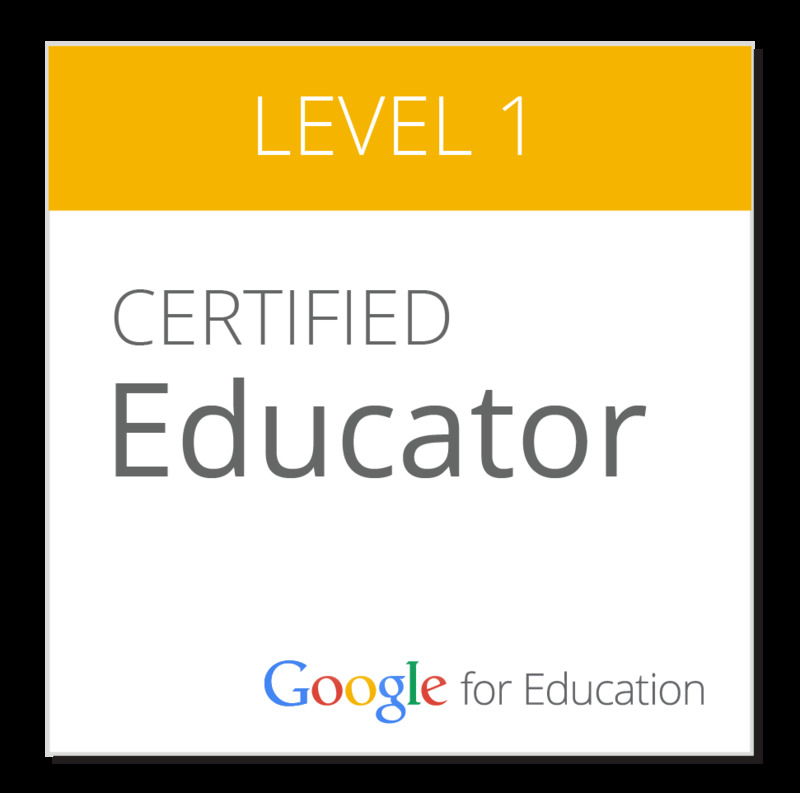 I am proud that I was able to plant this seed and hopefully in the future I can help lead digital learning in the same way (or better!). This afternoon I went to a meeting about Mana Enhancement, part of the Mauri-Ora programme at TPS. Three of my male Maori students are involved, hence my participation. Myself and the other teachers who have students participating went along to learn what it was all about, so we could better understand, support and help our students who will be doing the same things over the next 10(ish) weeks. I had no idea what to expect because my students were not involved last year (only year 5's upwards are involved). Jake, who was running the programme with us (and the kids) took us through what the kids would be doing, but in an hour instead of over 10 weeks. Super quick, but just a taster so we could understand what they would be doing. We talked about the Mana Enhancement model which is a tool designed to help students understand what they are feeling, why they are feeling that way and what they can do to help themselves feel better. It uses Maori terminology to link to feelings of strength and bravery. Jake is going to go through this model with each of the Maui Ora students to help them understand and process their feelings better. Last week and this week our class has been looking at Statistics. Because of this, we can't use as much materials as we have when we were learning about place value and decimals. It's more practically inclined. Last week as a break from their maths, I gave the students a basic facts test that is broken down by stages. I gave my lower students the stage 4 test (addition + subtraction to 10) and they all did great, so I gave them stage 5 (the national standard for year 5 students at the beginning of the year). Here they began to fall apart. 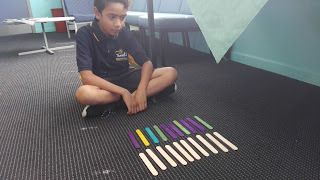 I quickly realised that two of the boys didn't have the skill, knowledge and/or confidence to count backwards from a given number (up to 20), or subtract from 20. They were fine with 10, but 20 they couldn't do. Today I pulled these two boys out for some materials maths. 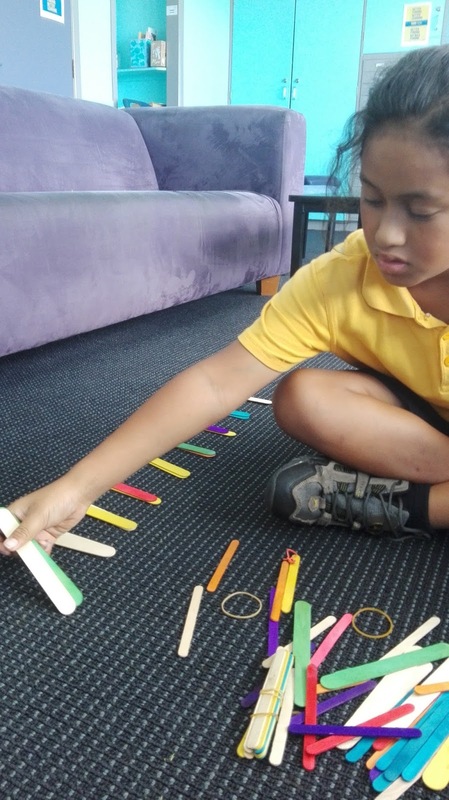 I got out the trusty popsicle sticks and we practised subtracting from 10. They understood this already and were confident in doing their takeaways, so I challenged them to not use their hands (i.e. imaging). 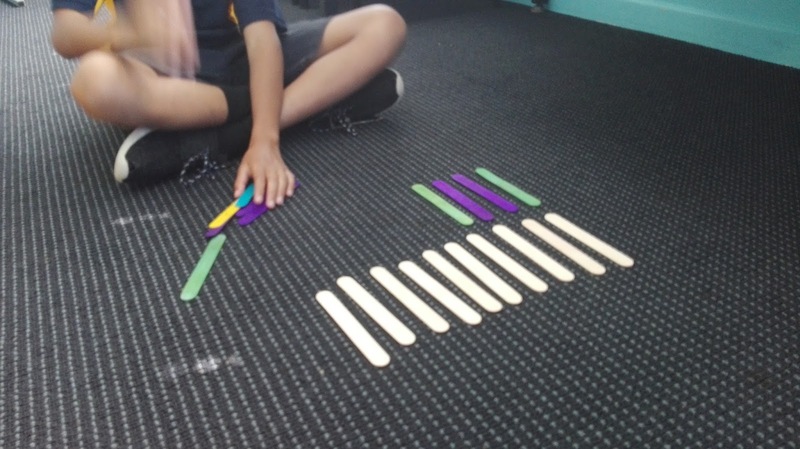 I would ask them subtraction questions and they would answer without touching the popsicle sticks (I could see them counting in their heads though..). They quickly memorised their groupings to 10 (5+5, 3+7, 8+2, 1+9, 4+6 and vice versa) and were able to answer quickly. Next we moved onto doing the same thing, but up to 20. This was a bit harder for them and took a lot more practice before they felt confident. I asked them to lay their 20 popsicle sticks out in 2 rows of 10. This helped them to understand that 20-12 isn't so scary, you first -10 then -2, leaving you with 8. Both boys slowly caught onto this and were able to show how they were thinking using the popsicle sticks. Again we practised our groupings to 20 (12+8, 13+7, 15+5, etc). They struggled a little here so we got the sticks back out and practised a few more times. Here he is showing 20-6, by taking 6 sticks from one group of 10 and he is left with 4 ones in one row and 10 in the other row. Here Lopi covers 3 sticks, showing 20-17. He got the point where he didn't need to physically take away the sticks, but could imagine them removed and give me the answer anyway. As a cool down, I asked them 'what comes before' or 'what comes after' whatever number I thought of. They were amazing with numbers to 20, as it was fresh in their mind, and good until 100, then one boy fell apart and wouldn't answer anything above 100. This lack of confidence showed me he was quite insecure about his number knowledge in large numbers which is something I can address another time. 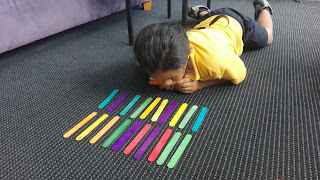 Then we practising skip counting, which is another thing I know they are not confident in doing. We used the popsicle sticks to count in groups of 2 and we also wrote it down. They both left feeling good about themselves (important! maths self-efficacy is always so low..) and knowing they COULD do it. I want to work them again so they don't forget the subtraction strategy they were practising today. They also need to practice skip counting, and improve their number knowledge of large numbers (100-1000). This morning I had my observation with Anne, the MDTA supervisor. I am so used to be observed now that I kind of forgot she was there (which is a good thing promise, it means I'm not scared!). Firstly we had our discussion about the journal articles we had read that week, and then we moved onto our activity which was sorting out our rubbish. 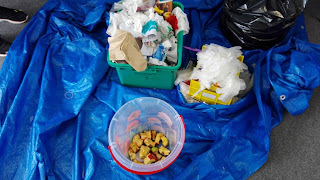 I had asked the cleaner of our school not to throw out the rubbish from the upstairs classes (year 4-8) on Thursday afternoon, so that my class could sort it out on Friday morning. She even gave me a box of gloves! 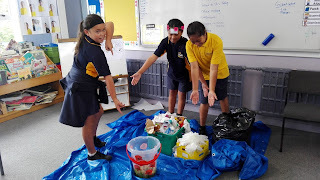 We sorted it out, discussed, gave ideas for how to fix the problem of having too much rubbish etc, and the students did their create lesson. In my opinion it was an okay lesson - nothing amazing. And here are some snippets which I particularly liked. "You continually made connections - referring to a picture and probing and digging deeply into the text and pictures." " The discussion was very lively and was full of energy, which you then ledvinto the core of the lesson, which was about rubbish in our school." "Good to see the consistency you have with the learners and their behaviour." "You have a good understanding of individuals in the class and keep on top of their behaviour and needs. After the experiment the discussion garnered all the ideas of what you could do to disseminate their ideas to the whole school to create more awareness of how to improve our environment and keep our school clean. Good to give them choice about what they were going to do to advertise their cause. They self selected in groups or pairs or individuals and chose the idea from the board. Great to see them getting on with the task so enthusiastically and excitedly. Putting the pressure on them with a time limit also good to keep the pace up and get them going. " During lunchtime, Anne came back and we had our discussion about how my year was going, especially since I am in my own class. It was a great opportunity to reflect on what I thought I had done well, things I had identified for myself as things to continue working on etc. Details about these can be read in the document linked above. Today we shared our video and got critical feedback. The rich maths vocabulary that you used. More use of maths vocabulary during my own lessons when I teach maths e.g. imaging. ‘Prove it” - having students in charge of explaining it and reasoning it themselves is a great way to confirm learning. Using the language: Imaging - so great - it helps the students know the expected strategies and how they can use them. Really cool that students can articulate to you about imaging and materials. Having students write their own understanding and strategies is awesome - great autonomy and opportunity to explain their understanding. They could write out questions for other maths groups - this could give them the opportunity to feel like experts and show ‘ako’. Even though they are the lower students it gives them esteem and will help remind other students. The autonomy you give the students is amazing. Using language such as imaging and materials is awesome - helps the students to know where they are in their learning and great for student voice. 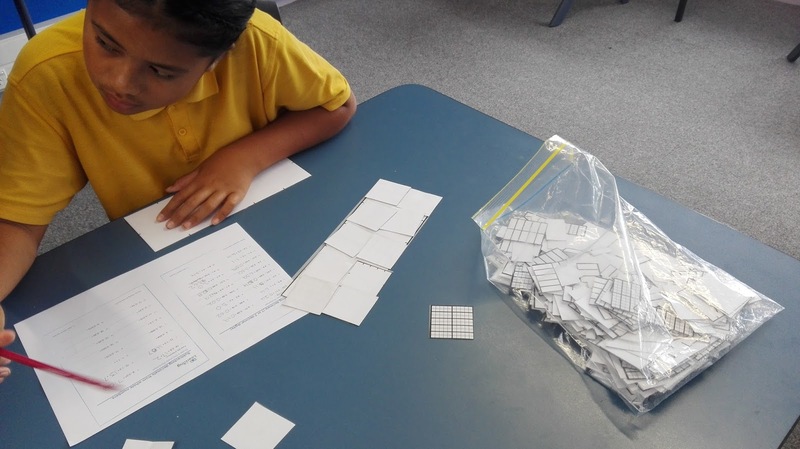 Students understanding of tenths and hundredths is good. 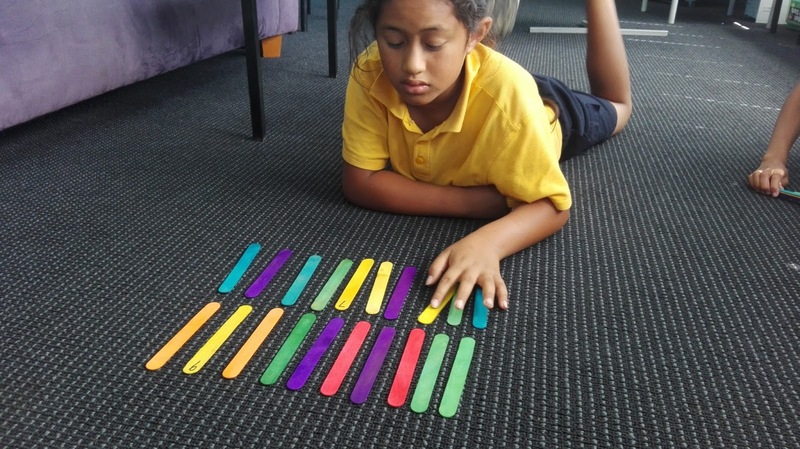 Adding numbers is leading the students into tidy numbers. 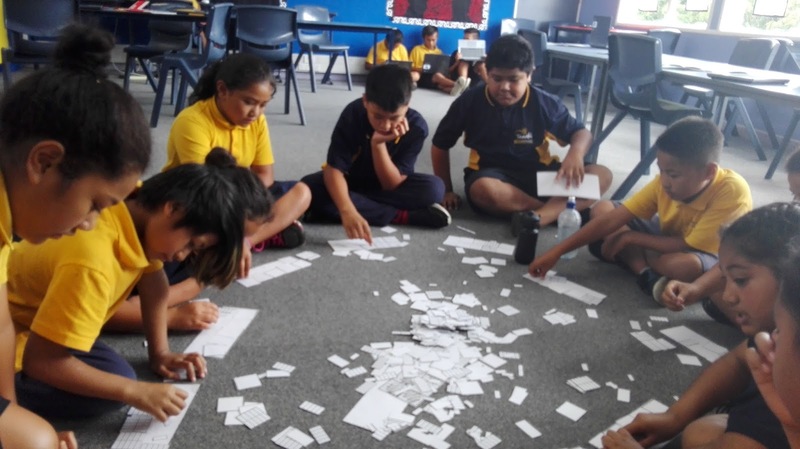 - Stage 6 addition facts can be taught easily to these students as they have the knowledge for it.
. It would not have been possible to understand the concept of decimals without material. But I am impressed the way you are trying to wean them out of material to imaging. Today we have a teacher only day at school and we are learning about a programme called Interlead, which we will be using for our appraisal process throughout the school. Teaching children is not the same as teaching adults. Appraisal has become a thing that is 'done to' teachers, where they are tested and treated like children. Interlead fosters a 'done with', high trust model by using the andragogy thinking model. Next we were asked to reflect on the appraisals we have been a part of. As this is my first teaching job, I only have one set of appraisals to draw from (i.e. from last year). This then made me reflect on my previous job, and the appraisals that happened there. As I wasn't very high up on the ladder, I didn't have a formal appraisal. What I did have, in hindsight, was even better. My immediate boss always aware of what I was doing and my capabilities, but when he felt I was ready he always offered me new challenges and new ways to take on small responsibilities. This along-side guidance is far better in my opinion than a once-a-year check-in where the manager is still in the position of power, essentially handing out judgements. Michael Fullan, the worlds leading education thinker, encourages that educators need to be constantly changing to be good educators. SC = social capital - challenging and supportive each other to be better. If you have two, but not the third, you have no PC. You must have all three. The PTC's are not a check-list, they should be used to back-map what you are already doing. PTC/Evidence should not be an extra thing. I loved talking about learning theory and research this morning, and how Tony tried to get us to change our mindset towards appraisal. The system itself is well-designed, however I do feel that I will be doubling up a little bit because I currently document in this way on my blog already. I will end up copying from my blog and pasting it into InterLEAD. This week there have been a few surprising moments which have just made my heart soar. On Monday I introduced the idea of subtracting decimals as a whole class, as everybody had seemed to get adding decimals. It wasn't great - there was too many kids and it just was too much. So on Tuesday, I began my maths lesson by saying 'whoever didn't get subtracting yesterday come with me and we can work on it', and without hesitation a bunch of about 10 kids came to the mat with me. There was absolutely no sense of embarrassment or shame about not understanding the learning yesterday, and I was honestly surprised. I expected to have to go and get specific students who I knew didn't get it and make them come and practice, but they just came themselves (and it was the same kids I would have picked anyway!). The first part of our mini-lesson was talking about which parts we did get (i.e. mostly subtracting tenths from tenths) and what we didn't get (i.e. when there isn't enough hundredths and we had to exchange). I was so proud of my students as they shared their weaknesses so openly. They also demonstrated strong metacognitive skill as they thought about their own learning and what they did/didn't understand. We went through the lesson and by the end they had understood what they didn't yesterday, and then moved onto even harder stuff. They were stoaked, and so was I. It made me think, how did I create such an awesome classroom culture in 5 weeks? Like, how? What did I do that worked so I can keep doing it? 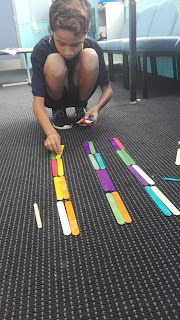 Another surprising moment was when not one, but multiple students, while working on an independent follow up after being with me using materials, asked to keep using the materials (in those words as well - yay for them using teacher-speak). As a teacher, I know that using materials is a building block towards being able to do the maths in your head. I always try to use 'teacher-speak' with my students, such as 'using materials' and 'imaging'. When these students came and asked me to use materials because they couldn't image yet, I was so happy. They knew they could do it by themselves (i.e. rather than asking me to do it) and knew what they needed in order to achieve it. I said absolutely! And there they sat, with a bag of decimats, using them when they reached a question they couldn't yet do in their head. If they still didn't get it, they would call me over, and I would lay out the decimats without actually explaining it, and just the visual cue was enough for them to click and say 'ooohhh'. These two moments that happened this week made so happy and proud. Somehow, I'm not sure how, I have created a class that is self-aware, honest, not afraid of making mistakes and admitting they don't know, independent, who have a growth mindset and would rather get a tool to help them achieve their goal by themselves, rather than asking the teacher directly to explain it. They want to learn, and want to do it themselves. They are active participants in their own learning. This week we have been learning how to subtract decimals, including tenths-tenths, tenths-hundredths, whole numbers-decimals. Monday - whole class materials introduction. 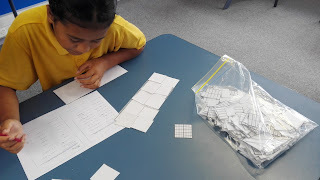 Overall, the whole class found it much harder to subtract decimals than they found it to add them, even though they are using the same rules (exchanging through 10, etc). I didn't quite expect that, considering how quickly they understood the place value of decimals and how to add decimals. I do think because we have been doing it for three weeks already, they are a bit bored of decimals and want a change in their maths (hence why I did basic facts on Thursday). The target students, as with everyone else, struggled with subtraction. All of the target students were in the volunteer 'I don't get it' group on Tuesday. I take this as a win, because at least they are self-aware and recognised they didn't understand it, and by coming down for a second session, were able to demonstrate to me that they WANTED to learn it. I have videoed a session with three of the target students (the others being away today, argh!). These three do the most speaking in the video, as they are the target students. The other two students did answer and fully participate, I just edited out their parts as the focus was the target students. I would love to see what you think of my quick run-through of how I run my decimals lessons. (There are obviously chunks missing/edited out, or times when I show one example of a particular thing (e.g. addition on whiteboards) when in reality we did 5, just to make the video shorter). Here is the observation run sheet (plan) for this lesson.